Double border pattern runs horizontally along both selvage edges. 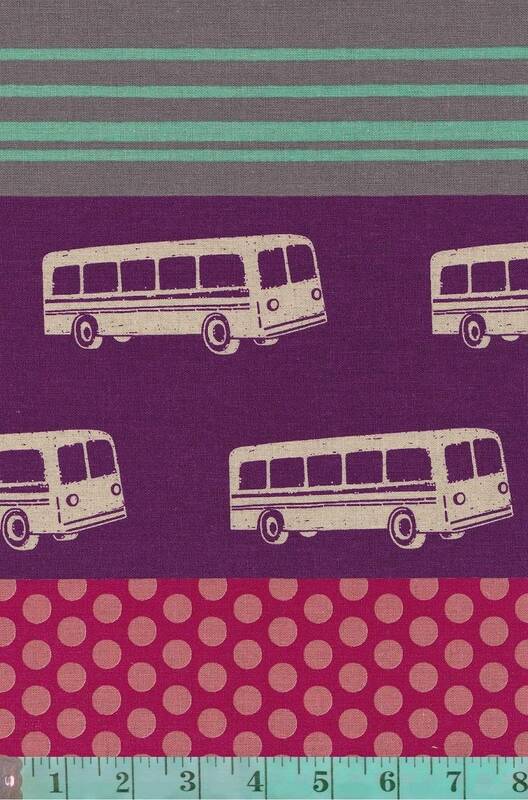 The main image shows the bus pattern on purple background with strips of dots and stripes on both sides of it. 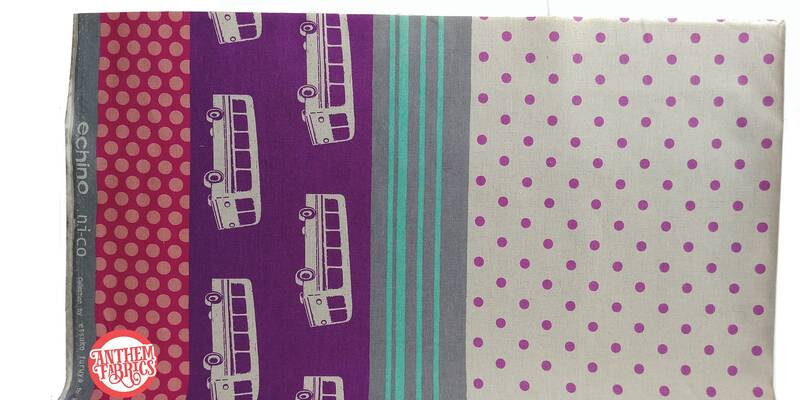 On the right, it has pattern of purple dots on natural background that continues on the other side of the folded fabric. The other selvage edge has mirrored image of the design. Busses are approximately 4.25" (10.75 cm) wide x 1.75" (4.5cm) tall. 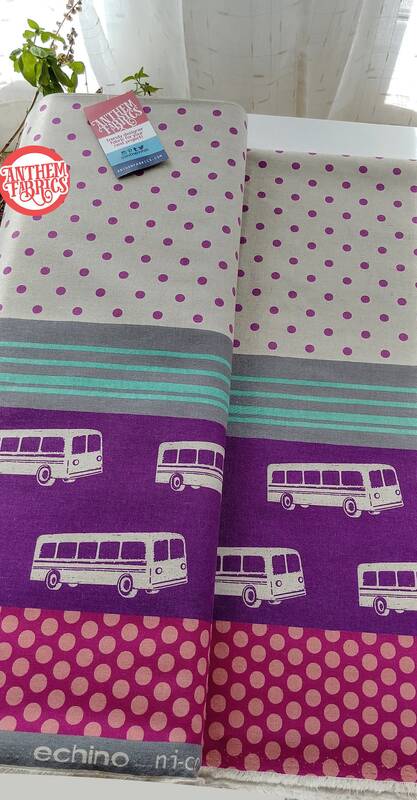 Sold by the half yard ( qty 1 = 18" L x 43" W : metric 46 cm x 110 cm ). One piece is sent when you purchase multiple units, i.e qty 2 = 1 continuous yard.